Living… with a voracious sexual appetite in a smorgasbord of unappealing potential mates: Reno, Nevada. She’s not afraid to strut her stuff while patrolling the streets as a Sheriff’s Deputy, strategically unbuttoning her blouse. 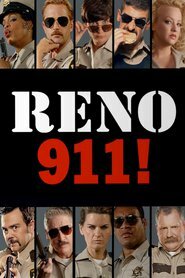 Profession… deputy for the Reno Sheriff’s Department. She also earns some money on the side by performing an exotic dance routine at bachelor parties. In previous lives, she was a Branson, Missouri magician’s assistant and a practicing Wiccan. Interests… Jaegermeister and Steely Dan. Johnson refers to Steely Dan as “The Dan” and has a tattoo celebrating the jazz rock band on her back. Challenge… finding herself. She has had so many dead-end jobs, so many failed relationships, and so many nights end up in a hazy fog of weed and booze. Then again, she really enjoyed all those nights, so she probably doesn’t think making a change is as necessary as her co-workers do. Personality… flirtatious, promiscuous, and endlessly in search of a good time. That wild nature extends to her job: Deputy Johnson has a long-running undercover pothead alter-ego named “Tarragon” who she employs to make a bust at the head shop. But to be fair, her regular ego is a pretty big pothead, too. Clementine Johnson's popularity ranking on CharacTour is #4104 out of 5,000+ characters. See our top-ranked characters and read their profiles.